I sat in my hotel room waiting to see him. It has been over seventeen years since I had seen my first love. The moment seemed too big as I sat there––sometimes prancing and in other instances nervously biting my nails. We both moved on and married other people. I still remember when we met for the last time. He sat on his bike watching me walk away from him; my eyes were filled with tears and so were his. Neither of us knew the full meaning of that moment –– was it a goodbye forever? Or was it a goodbye for now? Friends since second grade and then partners, I had never known a life that did not include him. I had crushes, some significant while others a fleeting thought, but he was my constant. He was my home in more ways than one. As two people who had always been in a long-distance relationship, neither of us knew how being on two different continents would change our relationship. Yet, here we were saying our final goodbyes, promising to always stay in touch. For fifteen years, we found each other even when the other person disappeared. We always found our way to each other. As kids there was no difference between us that seemed significant enough to break us. When the talk about marriage began, we had way too many big differences we could not conquer. Did we love each other? Absolutely. As two headstrong people, neither could compromise on our differences and we decided to end it. But he was always omnipresent in my world. I always wondered how he was doing. When I finally made a trip to India after the death of a loved one, I was broken emotionally. I was back to being a broken child who stared death in the face. I knew I needed to find my childhood friend and make amends. As I sat in that room waiting for him to show up, fifteen years flashed before my eyes. 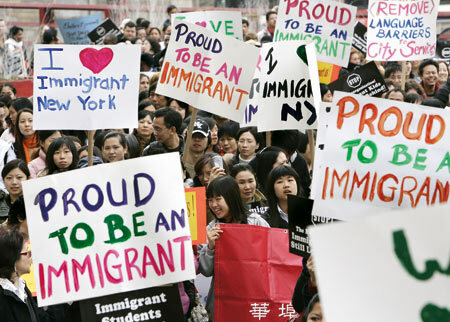 As an immigrant, yearning has always been a constant. The feeling of void has been in my life long before I became an immigrant. I first felt inexplicable emptiness when I lost my dad at the age of twelve. Since then that emptiness persisted. It finds me when I am alone and sometimes when I am in a crowd. As I sat there dwelling in my melancholy, I heard a knock on the door. I opened the door and there he stood. Years melted, heartbreak healed and relationships were mended. We hugged, talked and laughed. We were not adults then, we were two kids who saw each other through it all. We didn’t need to explain anything. We just knew. It was in that moment I realized some relationships never die. They grow and morph into something new. I will always yearn to meet my friend just like I always yearn for my dad. These are people who have, in a lot of ways, been the foundation of me and in more ways than one, their existence in my life is chicken soup to my soul. Below is an excerpt of an interview with Chaithanya conducted by JKS Communications about her book ‘America Deconstructed’, which she co-wrote with Shaima Adin. 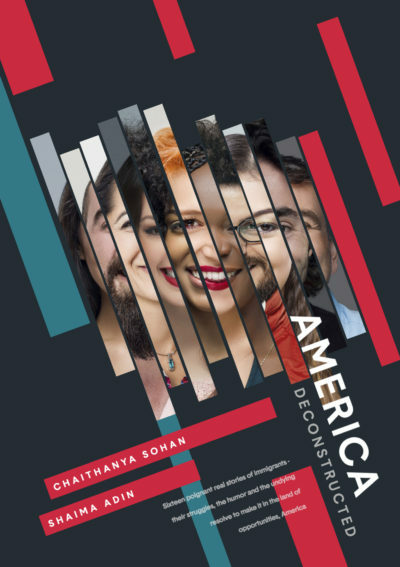 ‘America Deconstructed’ follows the journeys of sixteen immigrants as they maneuver cultural differences and uncomfortable situations while working to find a sense of belonging in their American homes. 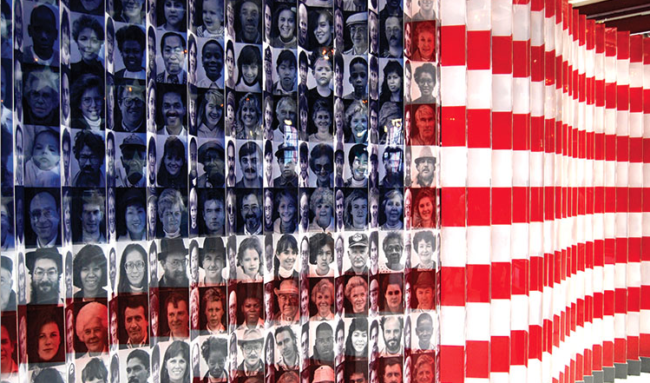 I have always struggled with the sense of belonging in America. As someone who is born and raised in India, my identity is pretty strong. I don’t see myself as an Indian- American as even my mom does a lot of times. I still identify myself as Indian. Belonging has been a challenge. As someone who still has strong emotional ties to India, and a certified mush ball, I have struggled with the notion of belonging and feeling at home in America. In 2009, I went back to India for the first time since I immigrated to America. As soon as I reached India, I felt the sense of belonging that had always evaded me in America. I feel like I am home when I go back to India and I crave that feeling when I am here. I always thought it was unique to me, but then I interviewed someone from Ghana who had come here when he was younger than I was, and yet the conflicts of belonging was as strong in him as it was in me. I knew then I wasn’t an unicorn.